Old fence and dead grass? Nice shot! 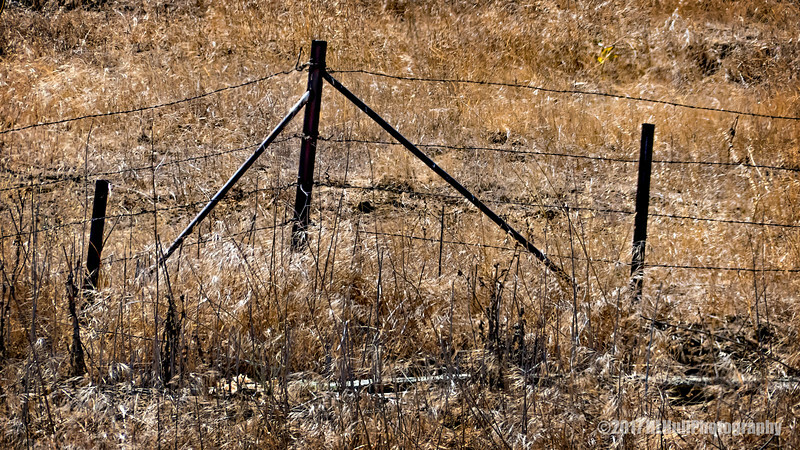 I'm always drawn to old fences and fence posts, so this is a particularly neat photo in my mind. A Little History: On Oct 27, 1873, a De Kalb, Illinois, farmer named Joseph Glidden submits an application to the U.S. Patent Office for his clever new design for a fencing wire with sharp barbs, an invention that will forever change the face of the American West.